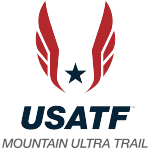 In spite of Team Mexico winning individual golds, Team USA led the medal count with five of the 12 medals awarded at this year’s 14th North American, Central American and Caribbean (NACAC) Mountain Running Championships in Golden, BC, Canada. A deep USA men’s squad led the scoring to take gold in the team competition with silver for Mike Popejoy and bronze for Josh Eberly, and a fifth-place finish for David Fuentes. Added to the three men’s medals, was a silver sweep for the women with defending NACAC Champion Megan Roche settling for second place this year and her teammate Soleil Gaylord, the youngest competitor in the field, finishing seventh. In previewing the course the day before the race, it was clear the times would be fast. With a start and finish in downtown Golden, BC, Canada, five kilometers of the 10.5K course was on pavement, or crushed limestone pathways. Throwing in sections of grass and a 5-kilometer loop on rolling and single track, the elevation gain was less than 400 meters. On race day, Sunday, September 24, teams from Mexico, USA, and host country Canada, battled for podium honors. The course did not disappoint and coupled with temperatures in the 40s under cloudy skies, the conditions were excellent for producing record times on the route. A group of five men including Casas, three Americans and a Canadian, took the race out and jockeyed for position through the streets of Golden. With 1.5 kilometers to go, Casas took the lead with Americans Mike Popejoy and Josh Eberly in pursuit just 10 meters back. “We were trying to close, but Juan was very strong,” said Popejoy who finished just three seconds behind Casas in 35:21. Just three seconds later, Eberly crossed the line. David Fuentes and Josh Eberly after the start in downtown Golden, BC. (Photo by Adrian Lambert). “I’m very happy to defend my title,” said Casas, who hopes to return in 2018 and earn a third consecutive NACAC title. On the women’s side, there was intense competition up front with defending NACAC Champion Megan Roche (USA), leading for much of the race, while eventual winner Susan Bautista Villegas (MEX) waited patiently until taking the lead with four kilometers to go. “She went by me on the downhill like I was standing still,” said Roche. In only her second NACAC event, the 25-year-old Villegas, bettered her finish from 2014 when she finished fifth. “I’m happy with the win,” said Villegas, who trains in the near her home in Aporo, Michoacan elevation 2000 meters. “I knew I would be a strong descender. I was alone from about four kilometers to the finish.” Her favorite part was the section of single track in the woods. Villegas posted a time of 40:50 to Roche’s 41:39. Rounding out the top three was Colleen Wilson (CAN) who finished in 42:41. Scoring the top two women Canada won gold, followed by USA’s squad for silver, and Mexico finishing in bronze position. On the men’s side, it was three to score with USA finishing atop the podium, followed by Mexico for silver, and Canada for bronze. Prize money was awarded to the top three men and women with first earning $200, second $150, and third $100 (Canadian dollars). 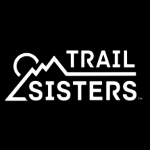 Team Leader Richard Bolt, Mountain View, CA: “A big thank you to Golden Ultra race director Magi Scallion and her team for being such amazing hosts. 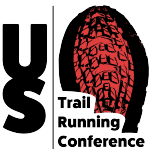 All of us on Team USA look forward to coming back for more mountain running in this beautiful part of British Columbia”. Of the five members of Team USA, only Eberly and Roche had competed in previous NACAC Mountain Running Championships. Scoring: two athletes score for women’s teams. USA beats Mexico because USA’s 2nd female runner finished higher. Three athletes score for men’s teams. Over 300 event photos can be found on Google Photos.